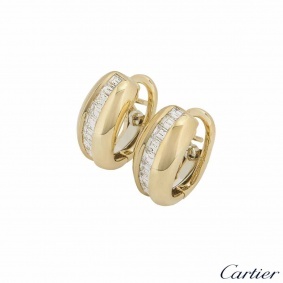 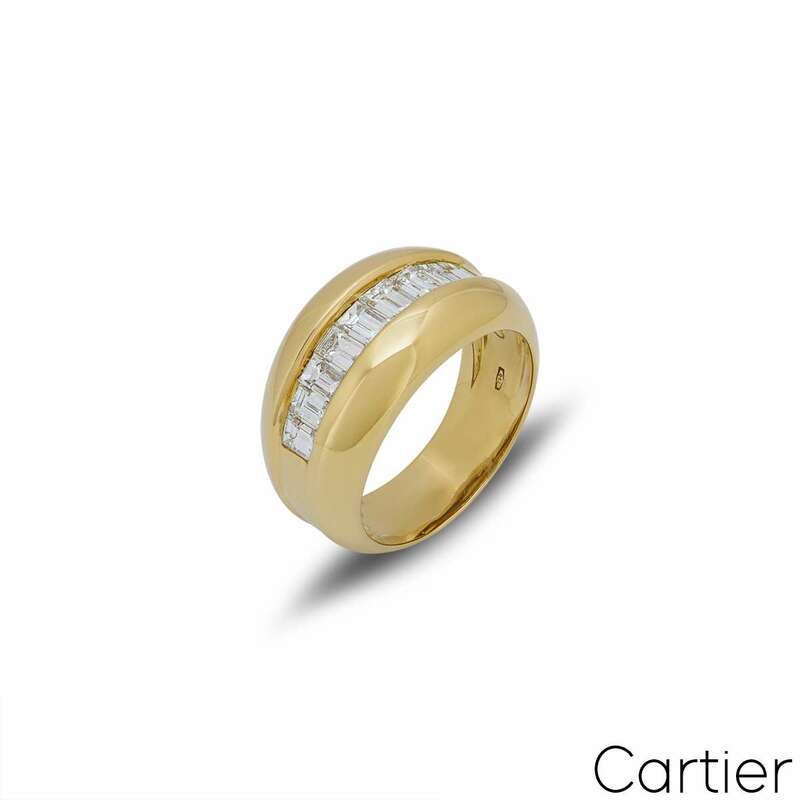 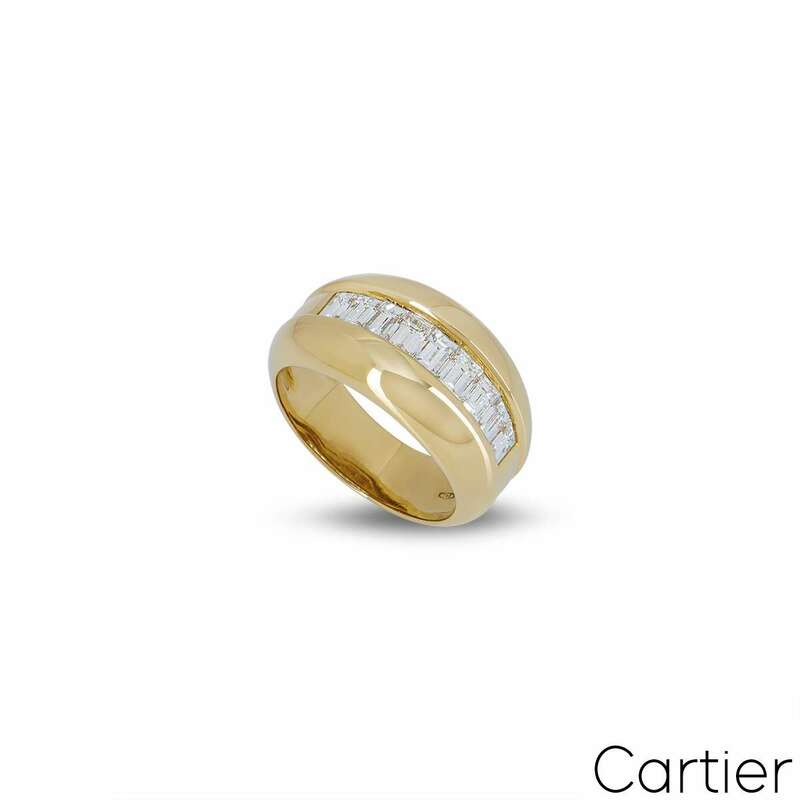 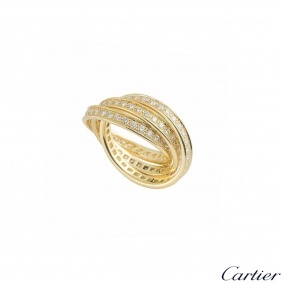 An 18k yellow gold Bombe style ring by Cartier. 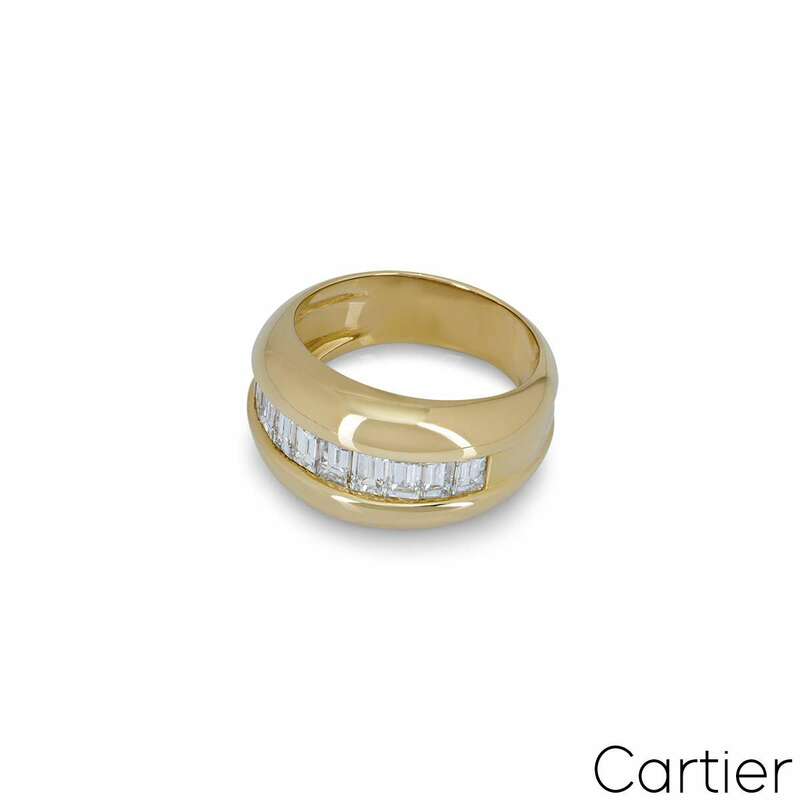 The ring has 9 baguette cut diamonds in a chanel setting through the centre, with a total weight of approximately 0.75ct. 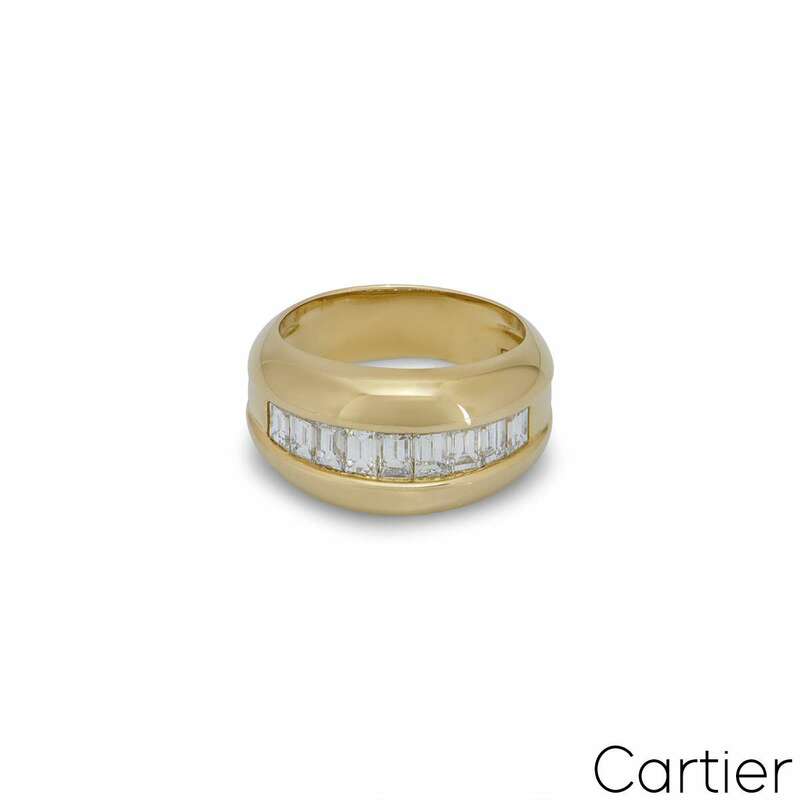 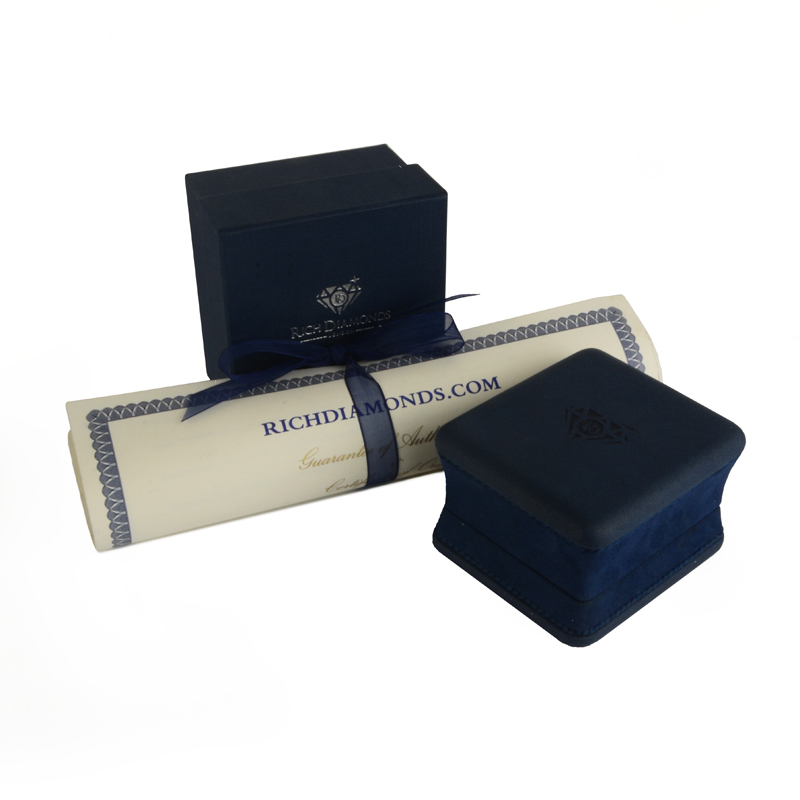 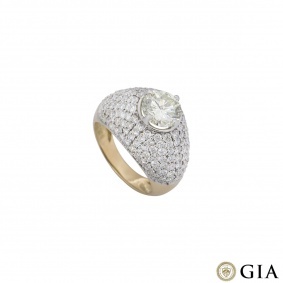 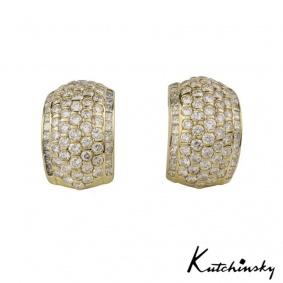 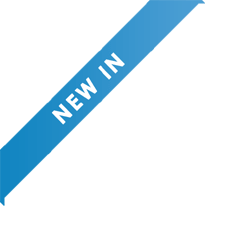 The ring measures 11mm in width, is a size O and has a gross weight of 7.57 grams.